Quinoa | (m)EAT LESS, RUN MORE! Meatless Monday! Lime Tahini Quinoa Salad, and I ran today! I made it over 4 miles before my tummy started acting up! I consider that HUGE progress since I normally "have to go" at just after a mile. Because I wasn't sure if I was going to have any issues I opted for the treadmill. I ended up doing 4.46 miles in 45 minutes. 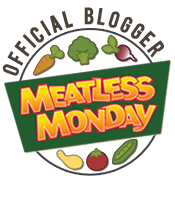 I … Continue reading Meatless Monday! Lime Tahini Quinoa Salad, and I ran today!